No matter how religiously you use a particular app, there are always certain features that you might not know about the app. Same is the case with the celebrated app, WhatsApp. WhatsApp is loaded with a bunch of features and settings that although clearly visible, might not have attracted your attention. Because who has the time to go through all the lavish settings. Umm, we do. 🙂 We checked every nook and corner of WhatsApp Android app and made it easy for you to enjoy the beauty of WhatsApp. 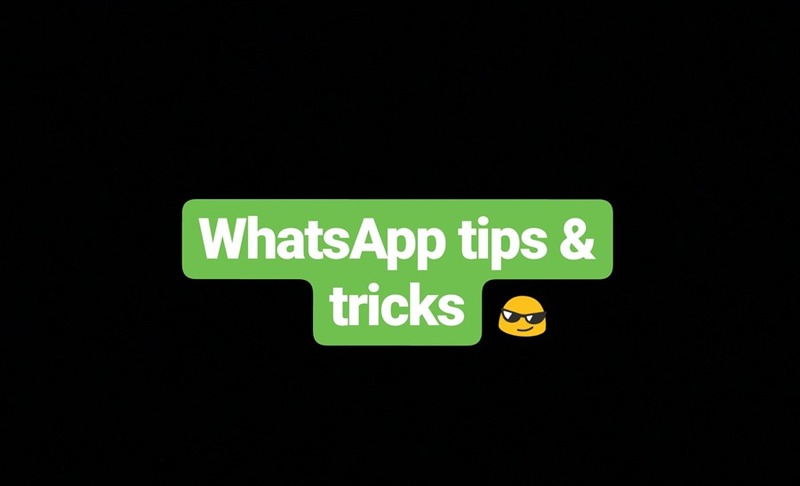 So, here we present to you an assortment of WhatsApp tips and tricks for Android. There is a reason why this tip gets the number one rank. However, other tips are not in any particular order. Okay dear WhatsApp users, you must have noticed that during an ongoing chat there is an annoying sound that plays while sending and receiving messages. Well, you can turn that off. I repeat, YOU CAN TURN THAT OFF. And you should. Please! 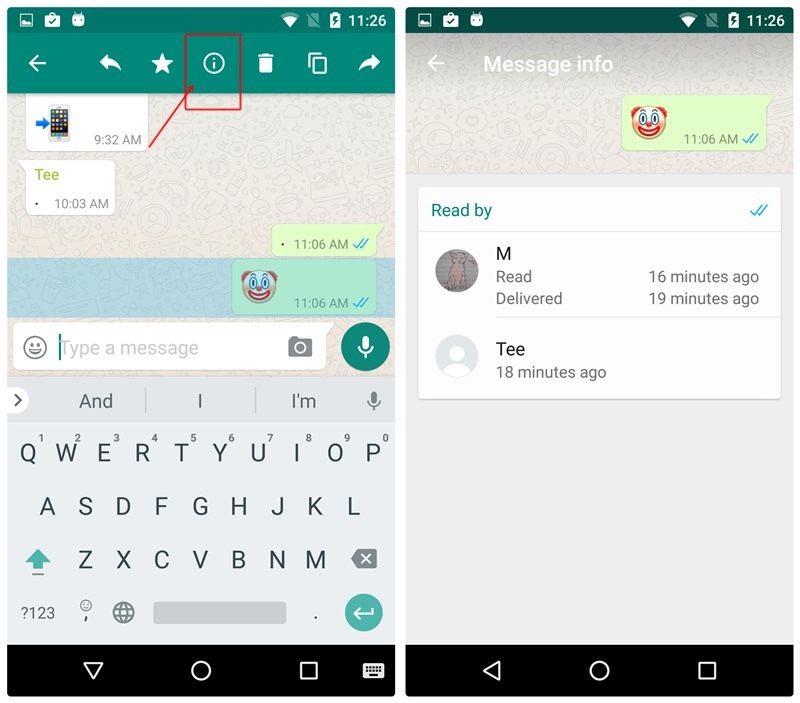 Open WhatsApp messenger and tap the three vertical dots in the top right corner. Select “Settings” from the menu and then tap “Notifications”. Uncheck the “Conversation tones” to disable the sound for incoming and outgoing messages. 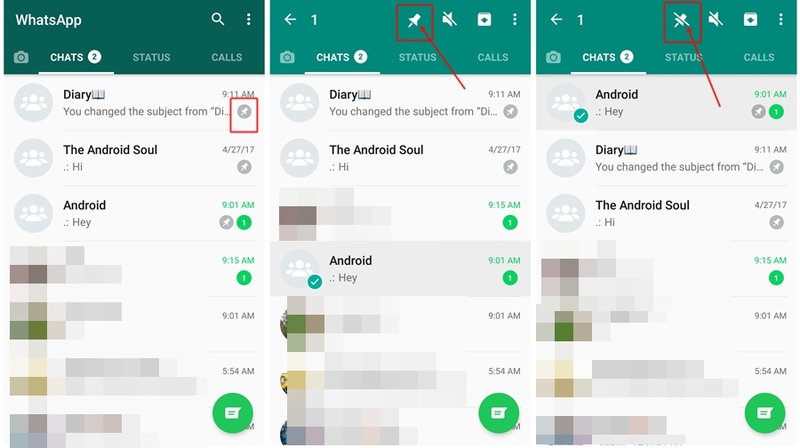 By default, both group notifications and individual chat notifications have same tone on WhatsApp. If you are like me, who likes to differentiate between the two incoming notifications using their tone, you should keep a different tone for group and individual chats. And thankfully, WhatsApp allows you to do that. Change the tone for individual chats in “Notification tone” under Message notifications and for group chats, change the tone in “Notification tone” under Group notifications. Similar to custom ringtones on your device, WhatsApp lets you keep separate notification tone for each of your contacts. You can keep custom tone for as many contacts as you want. Moreover, you can set custom notifications for different groups as well. Also read: A beginners guide to the WhatsApp status. Open the individual WhatsApp chat thread and tap the three vertical dots in the top right corner. Select “View contact” from the menu and then tap “Custom Notifications”. Enable “Use custom notifications” and change the notification settings as per your liking. 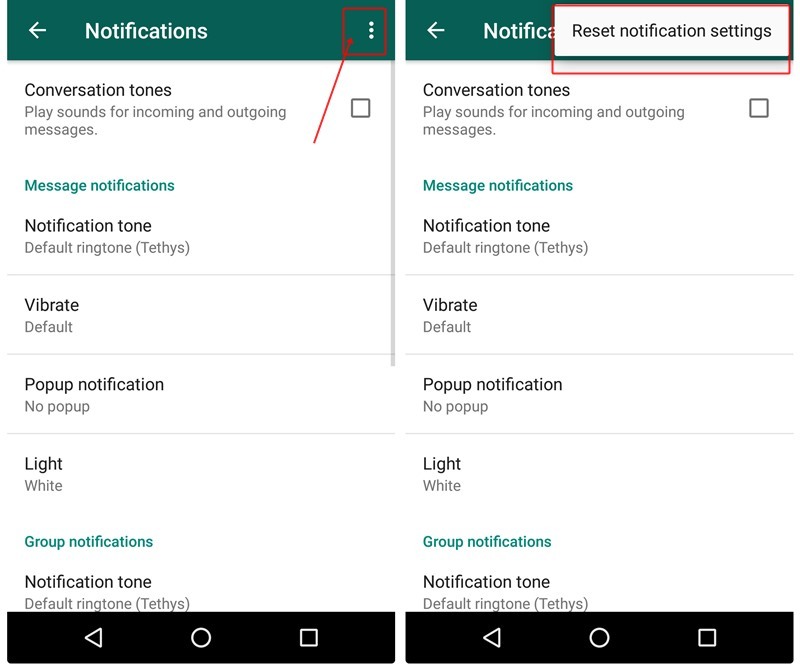 You can change notification tone, ringtone, vibration, light and even popup notification in the setting. Psst. To keep custom tone for a group, follow same steps for groups as well. 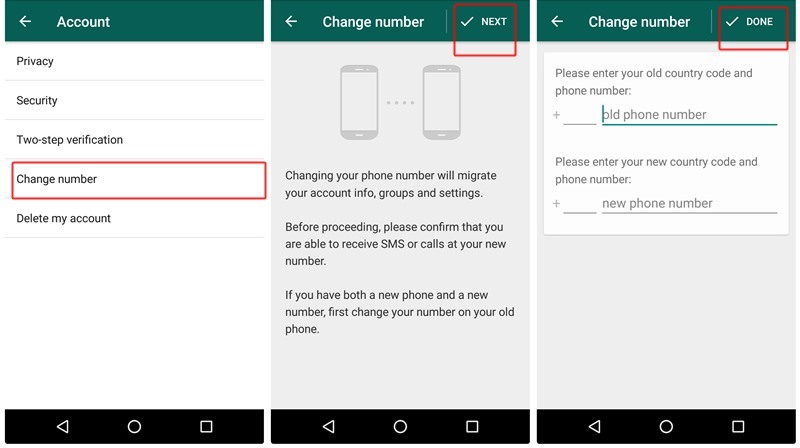 After fiddling with notification settings of WhatsApp, if you are not satisfied with the result and want to return to the default notifications, you can do that by following the steps given below. Tap the three vertical dots in the top right corner and hit “Reset notification settings”. All your WhatsApp notification settings shall return to the default values. Bothered by annoying people on WhatsApp? Well, just mute them! If you don’t want to receive notifications from a particular individual and block is not an option for you, try muting them. Similarly, if you are part of good-for-nothing WhatsApp groups and can’t exit from them, “Mute” might be your savior. Open an individual or the group chat that you want to mute. Tap the three vertical dots in the top right corner and hit “Mute”. You will be asked to select the time period for which you want to mute the conversation. 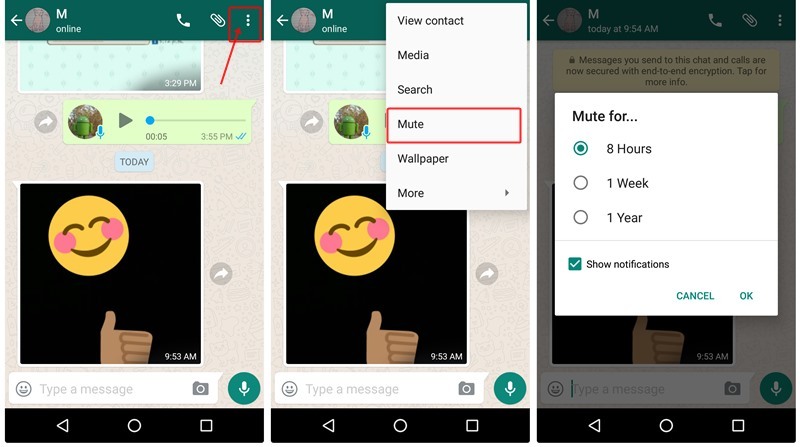 Select the time and tap Ok.
Alternatively, long touch an individual or a group chat thread under the “chats” on WhatsApp home screen and tap the speaker icon with a line on it to mute the conversation. To unmute an individual or a group chat, repeat the steps in any of the two methods. Open the chat thread that you want to block. 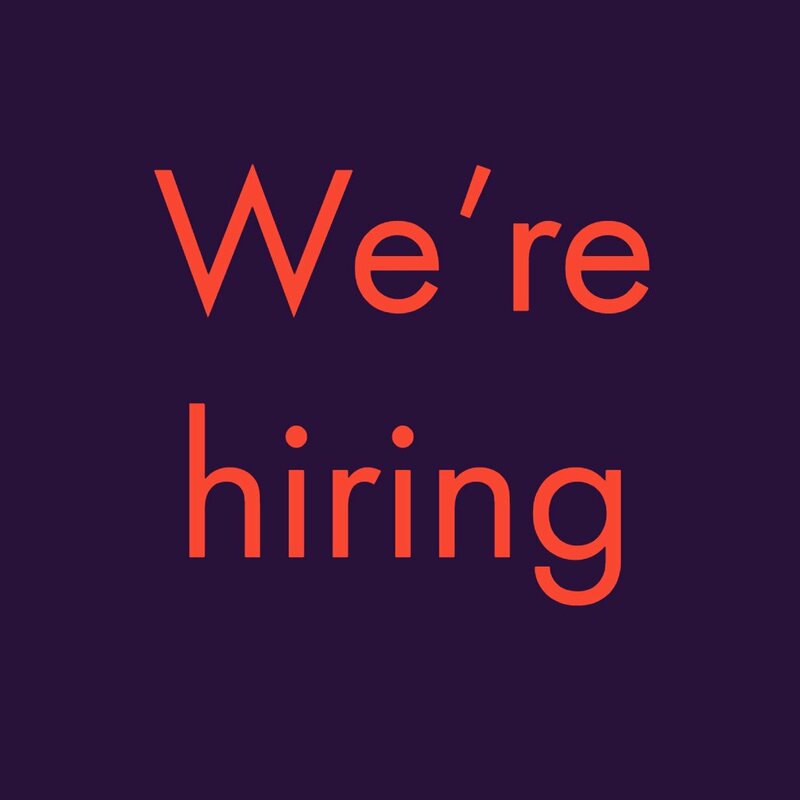 Tap the three vertical dots in the top right corner and hit “More”. Tap “Block” from the menu. Keep in mind: You cannot block a group, you can only exit from a group. WhatsApp released the ‘Stickers’ feature last year which gave users another way of interacting with friends and family. WhatsApp stickers are pretty cool and you can send stickers exactly as you would on Facebook Messenger. Well, to use WhatsApp stickers, you’d first have to update your WhatsApp application if you haven’t yet updated the app since a few months. Sending these cool stickers is pretty easy and there are a few pre-incuded stickers for you to quickly send. Open up the chat to which you want to send the stickers in. Next, tap on the Emoji button in the Type a message field. Then tap on the Sticker icon which would be the icon on the right of the GIF icon. From here, you would be able to see all your installed stickers on the device. Simply tap on the sticker you want to send and it would be sent just like any other message. WhatsApp allows you to format your text using simple formatting methods such as bold, italic and strikethrough. The feature was introduced a while ago and lets you bold, italicize or strikethrough any part or the entire text. In addition to these, you can even change the font of the text to Monospace. Monospace: To change the font to monospace, enclose the text in ` ` ` . Example ` ` `Android Soul` ` `. Yes, the character ` should be written thrice on either side. Psst.. 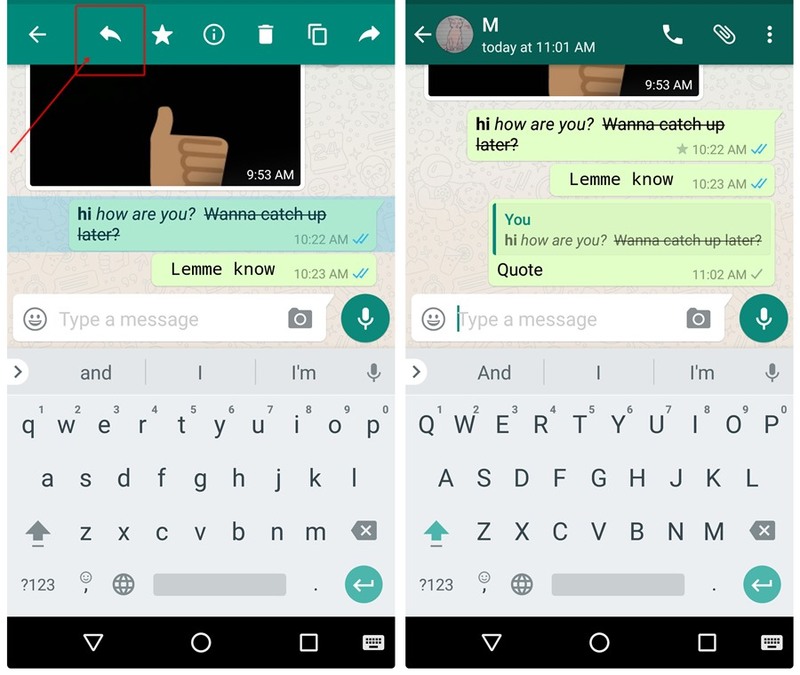 Soon, you won’t need to remember the characters as WhatsApp will allow you to format the text with the help of buttons. 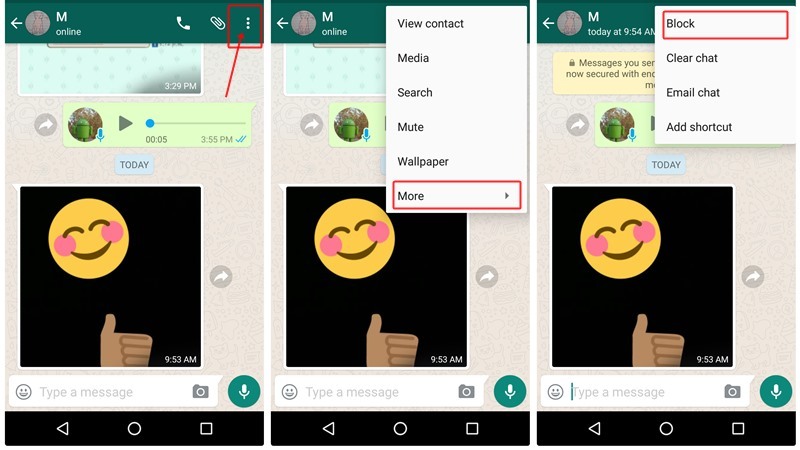 This feature was recently seen in the WhatsApp Beta and soon it will be live for everyone. 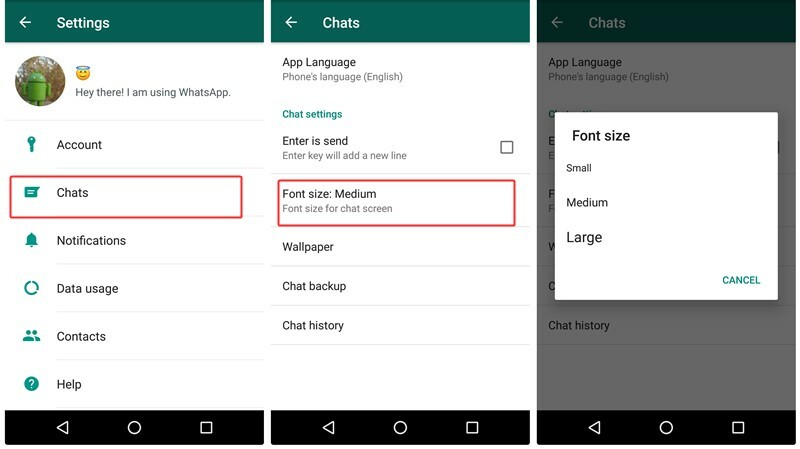 Whether you are fond of large text or small text, WhatsApp offers you an option to change the size of the text in the conversations. Select “Settings” from the menu and then tap “Chats”. Tap “Font size” and from the popup menu select the font size that you want to use. As is evident from the title, you can mark messages as favorite to access them later. In WhatsApp terminology, the feature is known as “star”. For instance, during a group chat, if a person mentions something important that you might need in future, you don’t have to read the entire thread to find that particular text, you can “star” the message and later when you need it, same will be available under the “starred messages”. To star/bookmark a text, long touch the text in a chat and tap the “star” icon in the top bar. 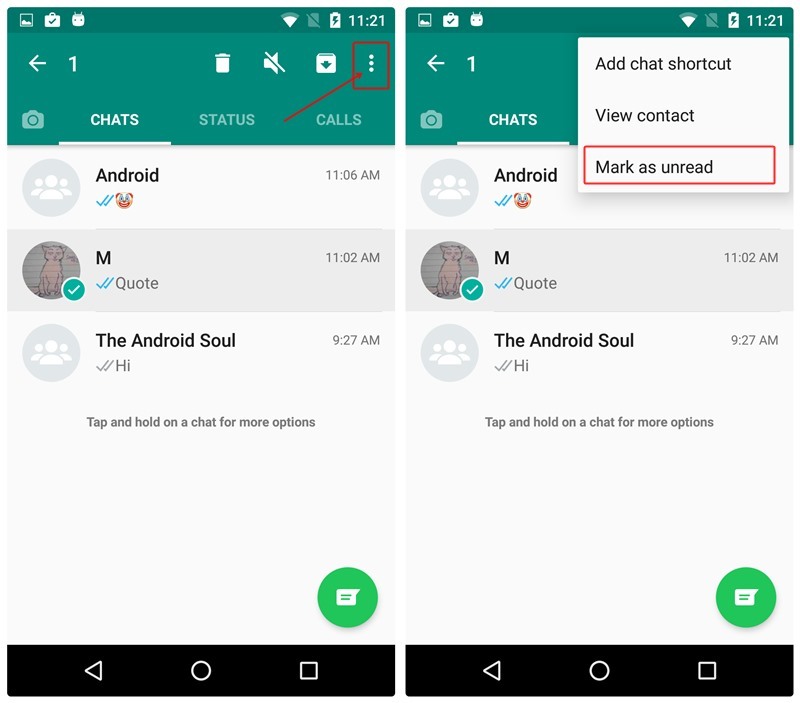 To retrieve the starred messages, open WhatsApp messenger and tap the three vertical dots in the top right corner. Select “Starred messages” from the menu. 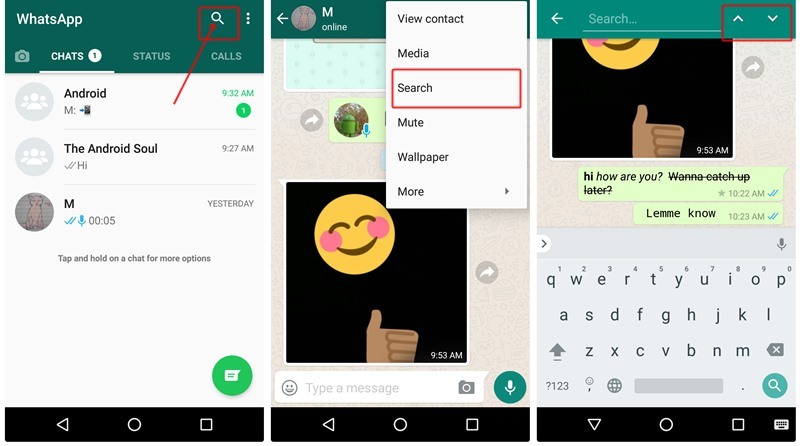 Apparently many people don’t know that “search” in WhatsApp not only allows you to search for contacts, but you can also search for messages on WhatsApp. Meaning, WhatsApp messages are searchable. You can search for a particular text, no matter how old it is, or in which thread it is present. Moreover, you can even search for a text separately in an individual conversation or a group chat. To search a text from entire WhatsApp history, tap the magnifying icon in the top bar and enter your search term. You can even search for contact names and group name in this search. To search a text in an individual chat or a group conversation, open the chat thread and tap the three vertical dots in the top right corner followed by selecting “Search” from the menu. Use the arrow keys to move to the next word. When you want to attach a comment to a particular text, use the quote feature. Quote helps in avoiding confusion in a group chat since many people are chatting simultaneously. That said, you could use quote feature in individual conversations as well. To quote a message, long touch the message and tap the reply icon present in the top bar. Once you tap it, an instance of the message will be seen near the typing area. Type the comment and tap the send button to quote it. This feature works only in group conversations, primarily because why would anyone want to tag a person in individual chats. To tag people in group conversations, type @ and then select the contact that you want to tag. Other than the group notifications, they will be notified separately that you have tagged them. Consider the scenario; you are busy and unable to reply to the not-so-important messages. You keep them unread with the hope that you will reply later. But suppose while replying to an important message on WhatsApp you accidently open one of the unread messages. Now, both you and I know that if you don’t reply to the message at that moment, you will never reply eventually. So to be on the safer side, it’s better to mark the messages as unread and set a visual reminder so that later when you are free, you can reply to the messages. 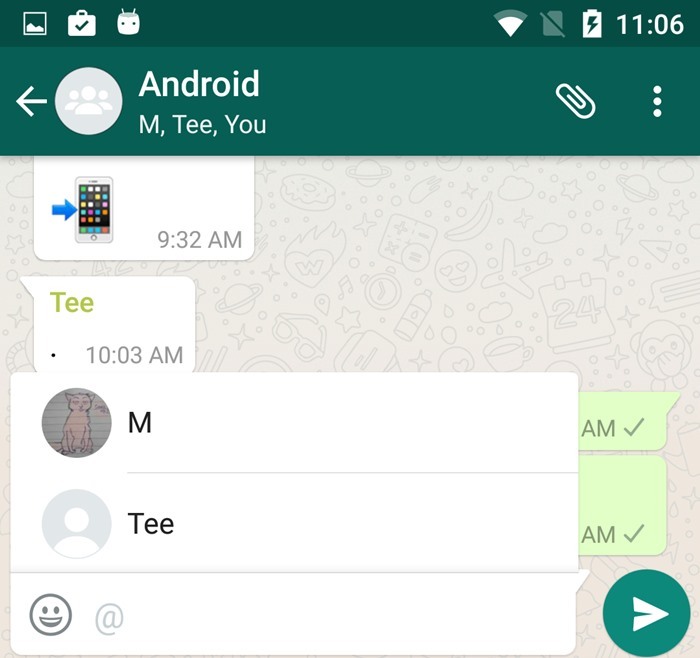 Long press the individual chat thread on the WhatsApp home screen. Tap the three vertical dots in the top right corner and select “Mark as unread” from the menu. Keep in mind: Even if you mark the message as unread after reading it, the other person will still get blue ticks and read receipts. Particularly useful in group conversations but works in individual chats as well, the feature allows you to know the exact time when your message was delivered and when the other person read it. Put your detective cap on and let’s crack the case. To find out the exact time when your message was read, long press/touch the sent message from your side and then tap the information icon (i) in the top bar. Ta-da! You will see a detailed log, with the time when the message was read. Tap the contact name to view “delivered” time. Do you want to send a message to multiple people at the same time? Say hi to broadcasts. Instead of creating a group, you can send messages to multiple people using broadcasts. The message is delivered to individual chat thread and even the replies are sent only to the sender. Select “New broadcast” from the menu. Select the contacts to whom you want to send the broadcast and then enter your message. This little paragraph doesn’t do justice to the amazing feature of broadcast. 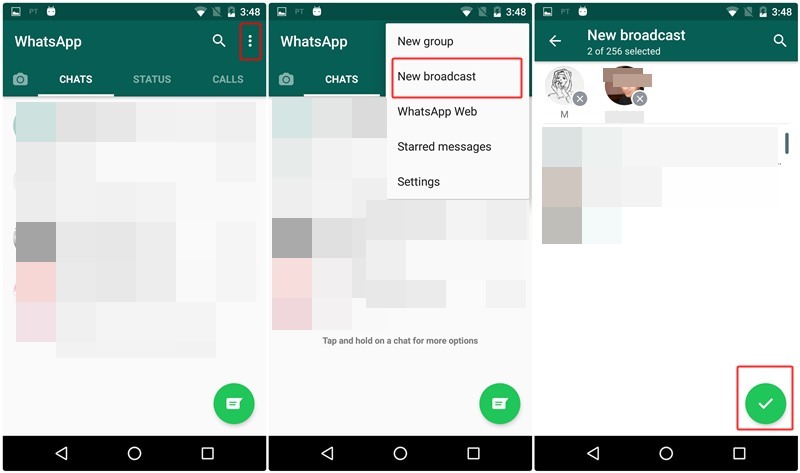 Hence, here is a detailed guide on how to use WhatsApp broadcast. Blue ticks ruining relationships since forever. The only reason that justifies the presence of blue ticks and read receipts on social media can be the cycle that it creates. Once your relationship is destroyed, you come back to social media to whine about it, you make new friends and blue ticks again kill the relationship, hence the cycle continues. There is a simple solution to save you from the mental torture and that is to properly configure the WhatsApp privacy settings. 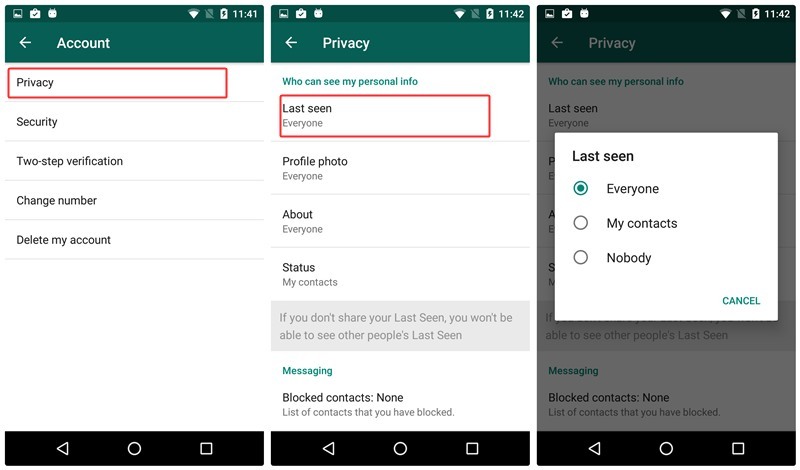 WhatsApp gives you three privacy options for your last seen: Everyone, your contacts, and Nobody. Everyone means all the people who have saved your number in their address book can see your last seen irrespective of whether you have saved their number or not. My contacts means only the people who are in your address book can see your last seen (if your number is saved with them as well). Lastly, Nobody means no one can see your last seen, be it your contacts or others. Last seen will be completely hidden. Select “Settings” from the menu and then tap “Account”, followed by “Privacy”. Tap “Last seen”, and choose the option – Everyone, My contacts, Nobody, as per your need. Similar to last seen, blue ticks are annoying and that too on another level. You can turn off blue ticks and hide read timestamp so that when you read the message, other people will only see gray double ticks and not blue ticks. Also, no time will be shown on the “read” receipt. However, again similar to last seen, if you turn off the read receipt, you won’t be able to see double ticks and read receipt. Bonus tip: Turning off the read receipts also comes handy if you want to check new WhatsApp status secretly, without letting other people know about it. 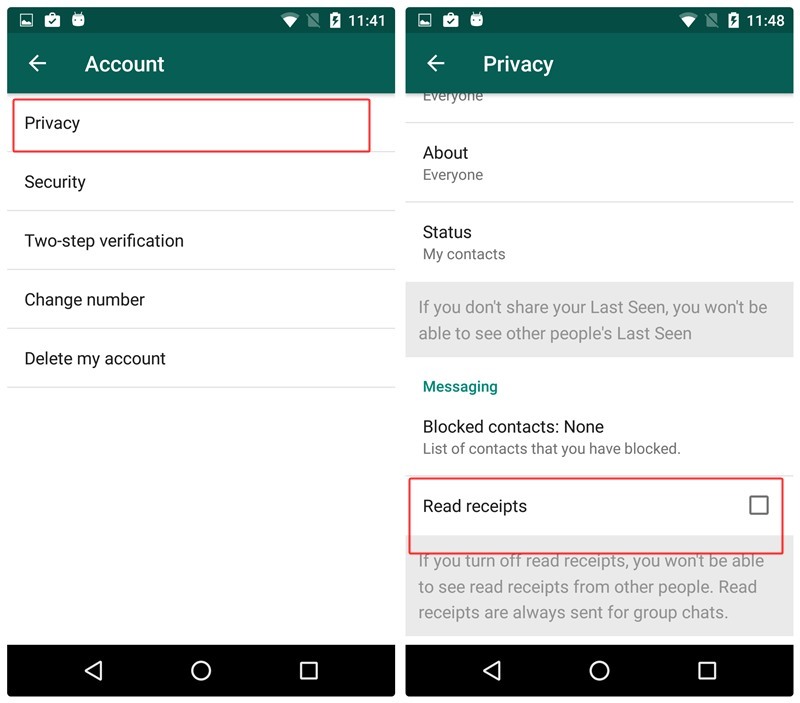 Moreover, you can similarly configure privacy for your profile photo, About and the new WhatsApp status in the privacy setting of WhatsApp. There is no direct way to hide WhatsApp notification content from the lock screen. However, there is a simple trick, not even a trick, but Android functionality that permits you to hide notification content. Go to “Apps/Application Manager” followed by “WhatsApp”. Anyway, doing this will hide the content of WhatsApp notifications from your lock screen. Many times, we don’t want to delete a chat but neither like its presence under the conversation list. So what should we do under the circumstances? A nifty feature “Archive chat” comes to the rescue. By archiving a chat, although, you remove it from blatant conversation list, the same lives happily under the “archive chats” where nobody sees it. Long touch the conversation thread that you want to archive or hide from appearing under chats. Tap the archive icon present in the top bar to archive the chat. To view archived chats, scroll down to the end of conversation list and tap “archived chats”. When you receive a message from an archived chat thread, it will be removed from the archived chats automatically and will appear under the conversation list. Do you regularly chat with a person or a group? Make your life easy by adding the chat shortcut on your home screen. Open WhatsApp messenger and long touch the conversation chat thread under “Chats”. Tap the three vertical dots in the top right corner and select “Add chat shortcut” from the menu. A shortcut for the chat is created on your home screen, as you can see in the above screenshot. If you are not fond of adding shortcuts to your home screen, don’t worry. WhatsApp has another built-in feature that will make your life easy in this busy world. We are talking about conversation pinning. With chat pinning, you can pin up to 3 chats to the top of your WhatsApp chat list. Even if you get a new message from a contact other than the pinned contact/group, the pinned chat will not go down the chat list, it will remain at its current top position. Chat pinning is indeed very helpful and one never misses a message from favorite pinned groups and contacts. To pin a chat to the top, long touch the chat and tap the pin icon in the top bar. To unpin a chat, again long press the chat and tap the unpin icon. If you want to share pictures taken at a wedding, party or any other event with your WhatsApp friend or a group, you don’t need to send it one by one, WhatsApp bestows the favor to send multiple photos to a particular chat/group in one go. There are two methods to do so. Open the chat/group thread with whom you want to share multiple photos. Tap the attachment icon and select gallery from the popup menu. Tap one of the photos that you want to send. You will see a white add icon in the bottom left corner. Tap it to select multiple photos and finally tap Send. In the top right corner, tap the multiple selection icon. Tap and select your photos and press OK. Shortcut: Alternatively, instead of tapping a photo once in the gallery, long touch a photo that you want to send, you will see “1 selected” in the top bar. Tap other photos that you want to send and with each tap, the count for “selected” will change. Hit OK when you are done selecting the pictures and tap send. 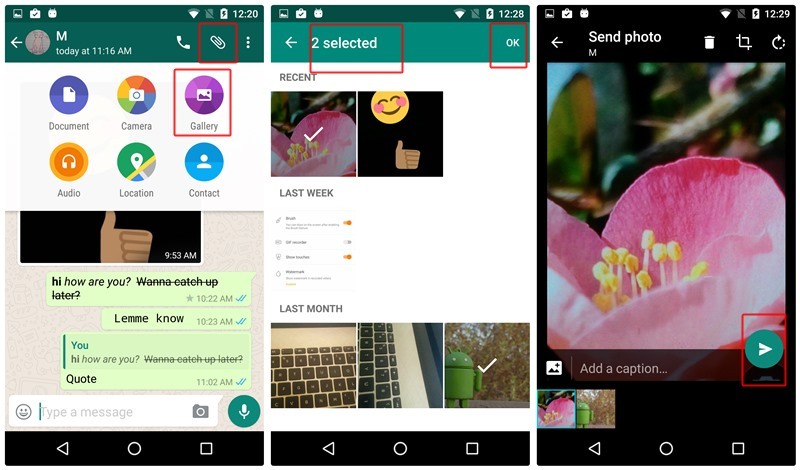 Moreover, if you want to send multiple photos to multiple people in one go, use the Broadcast feature of WhatsApp. The default method to send recent photo continues to be via the “Attachment option” – tap the attachment button – select gallery -open the album and choose your photo. However, there is a very simple shortcut to send recent photos without all the hullabulla. 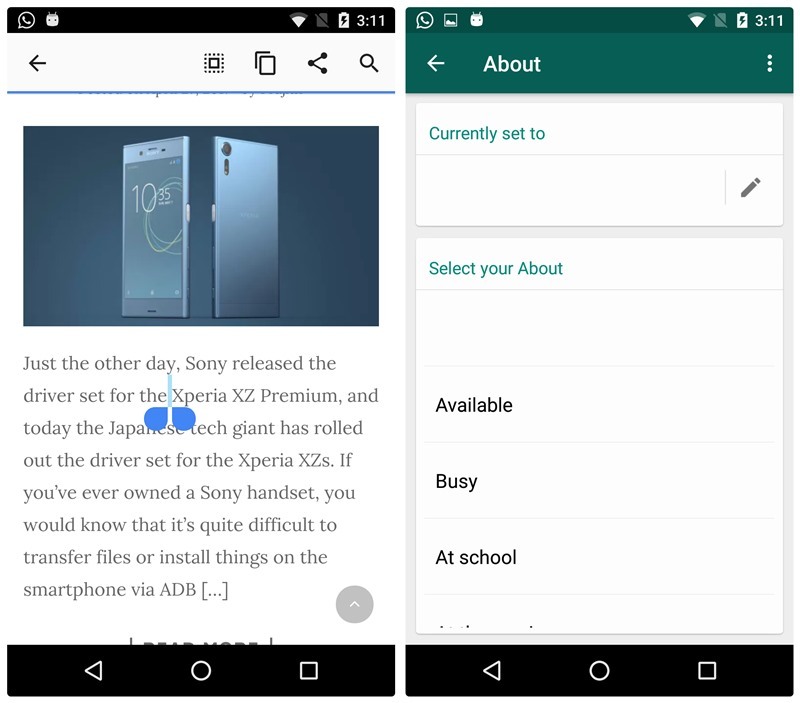 Also read:How to scan documents using Android phone and store them online for easy access. And that happens to be the camera icon on the right side of the typing area. Tap it and you will see recent photos in the bottom scroll. Tap the photo and send it. However, you can only send one photo at a time by this method. Further, if you want, you can even write on the photos, and that results in our next tip. Whether you want to write on new photos or photos present in your gallery, WhatsApp caters to both. This is extremely helpful when you want to mark something on your photo. Moreover, you can even add stickers and colorful text to your photos. 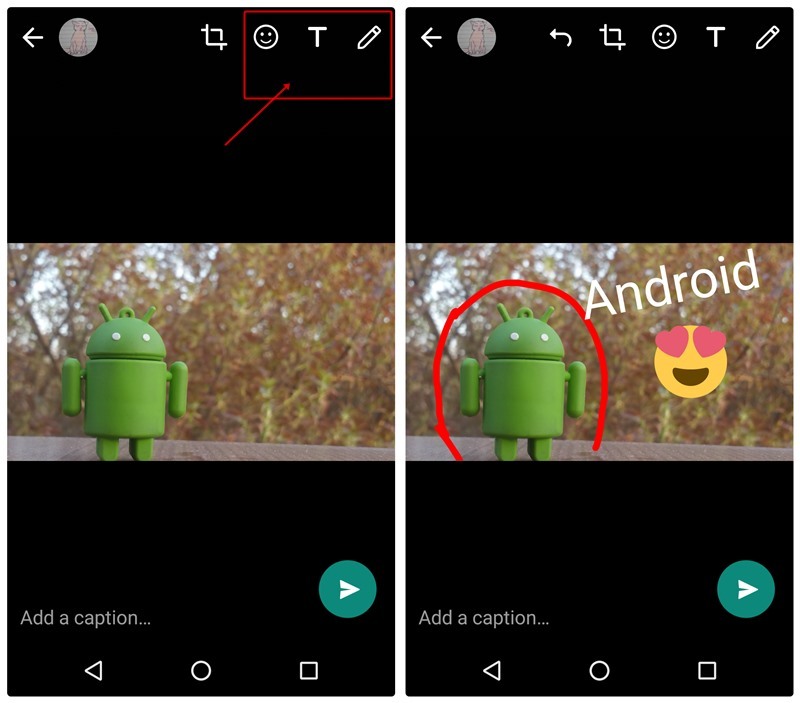 To write on photos, once you select the photo from the gallery or capture a new photo from WhatsApp camera, you will get three options in the top bar – Sticker, text, and doodle. Use them as per your wish and beautify your photos. WhatsApp makes it very easy to switch numbers on the same device. All your chats, group conversations, and settings will remain untouched. Although group conversations that you are a part of will be notified that you have changed the number to so and so, individual conversations will not have the slightest idea until you personally text them. Select “Settings” from the menu and then tap “Account”. Tap “Change number” and hit “Next” in the top bar. Enter your old and new number to receive the OTP on the new number. After verification, WhatApp will be active on your new number, with all your old chats intact. Working on your laptop and don’t want to constantly use the mobile phone to chat on WhatsApp? Say hi to WhatsApp web. With WhatsApp web, you can chat with your WhatsApp buddies through any web browser. All you need to do is scan the QR code from your mobile phone and connect the two. Open web.whatsapp.com on your laptop browser. 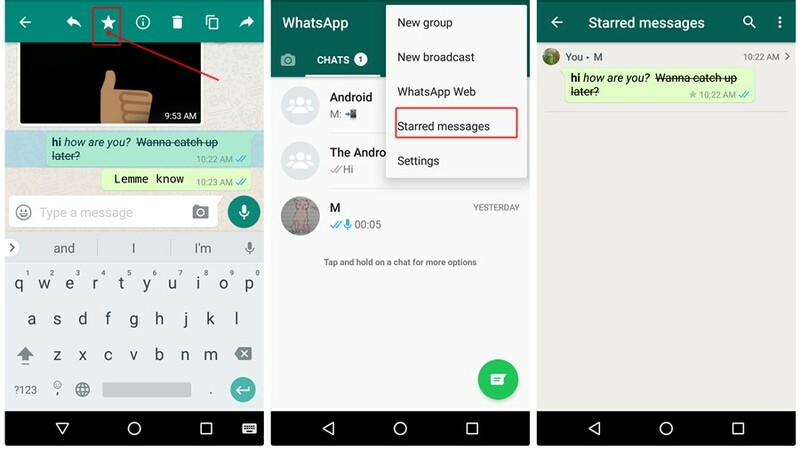 Open WhatsApp messenger on your phone and tap the three vertical dots in the top right corner. Select “WhatsApp web” from the menu. Scan the code available on your laptop browser using the phone camera. That’s it. All your chats will now be available on your laptop browser. There is a WhatsApp desktop client for both Windows and Mac that you can download from here. But wondering how to move WhatsApp conversations from the old device to the new one? There is an extremely easy way to do that with Google Drive. All you need to do is backup your conversations to Google drive from your old device and then they will be accessible from your new device as well. Open WhatsApp messenger on your old phone and tap the three vertical dots in the top right corner. 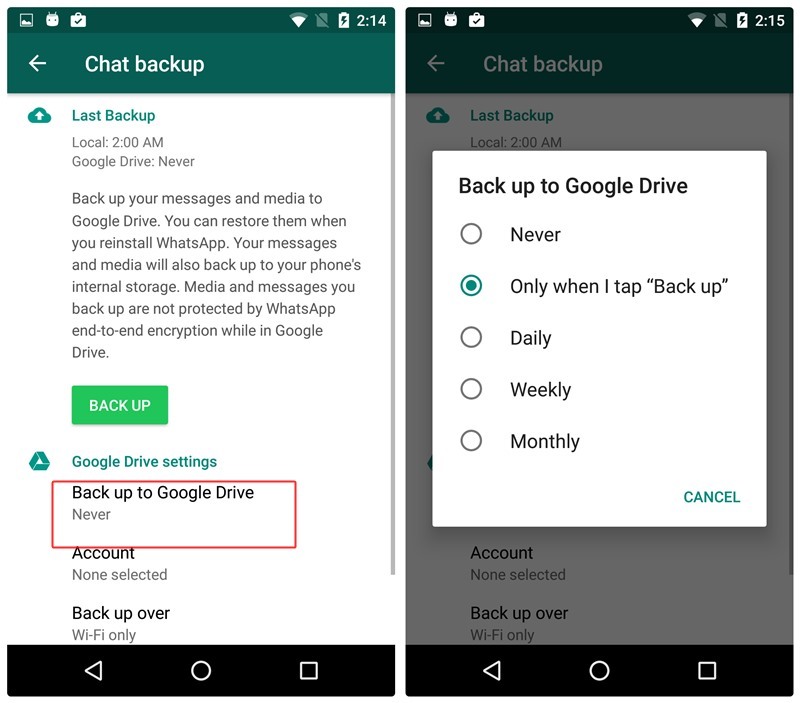 Tap “Chat backup” and under “Back up to Google Drive” select any of the time-period that you like. If you want to immediately move the conversations, hit “Only when I tap Backup” followed by selecting your Google drive account. Tap “Backup” on the chat backup screen. On the new device register with your number and you will be prompted about the Google Drive backup. Select the same Drive account to which you saved your backup and voila all your old conversations will now be on your new device, including media files. 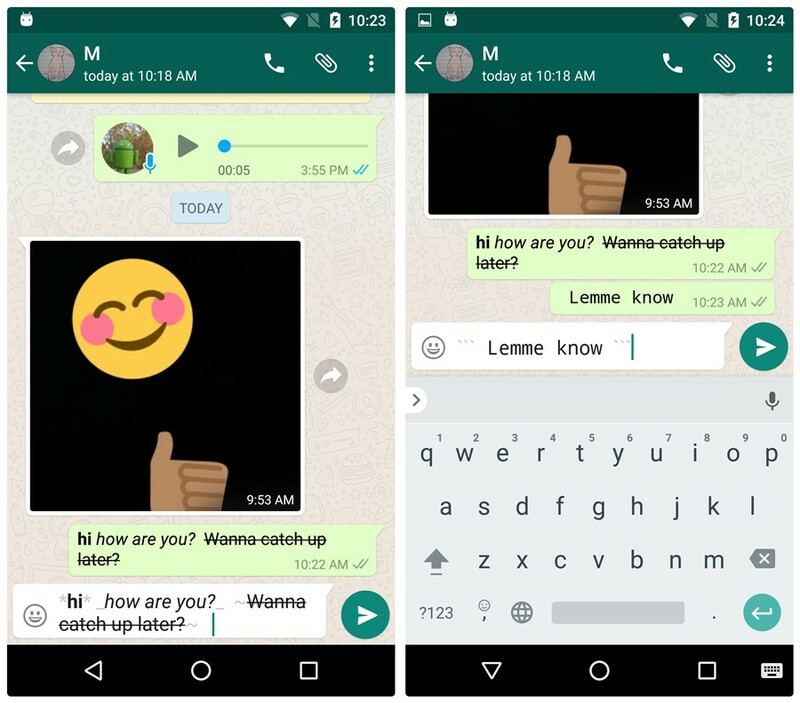 WhatsApp Beta program, like any other Beta (pre-release version), is essentially used to gather feedback regarding new features before they are made public. However, you can use the same program to get all the new features before others. 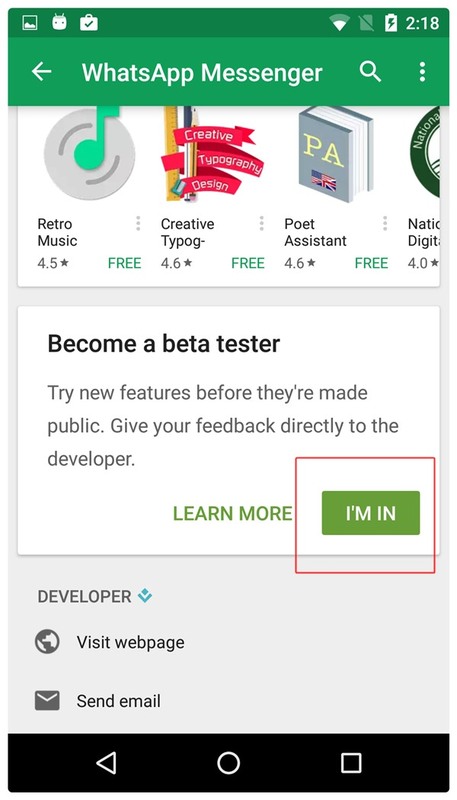 To enroll into WhatsApp Beta, open WhatsApp in Play store and scroll down to find “Become a beta tester”. Tap “I’m in” option. And you are a Beta tester now. Keep in mind: You will get frequent WhatsApp updates. Love GIFs? Want to create your own GIFs from WhatsApp videos? You can do so. 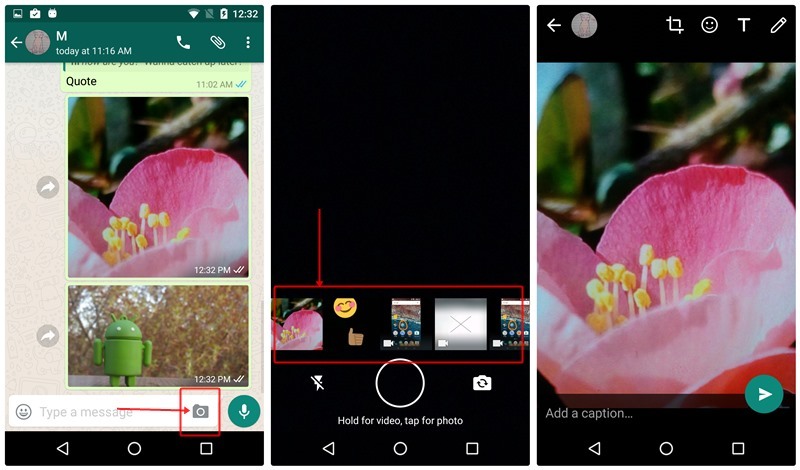 WhatsApp provides you a built-in feature to create GIFs. 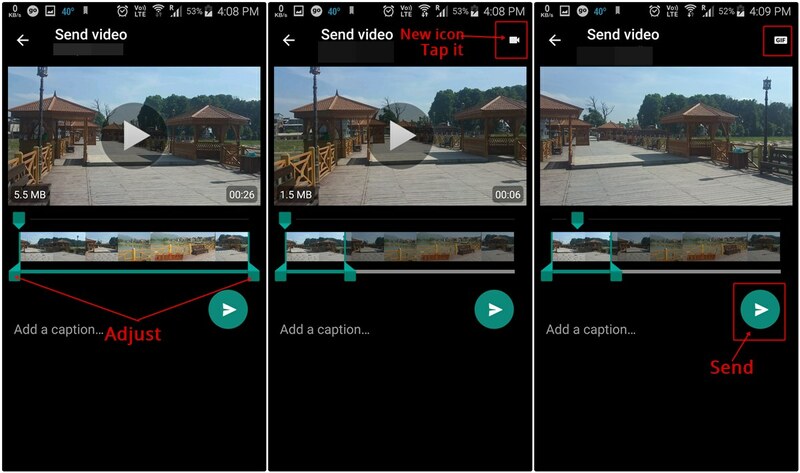 To do so, open the video in video editor of WhatsApp, decrease the time limit of video to 6 or less than 6 seconds, you will see the camcorder icon in the top right corner changes to GIF. Tap it to create the GIF. 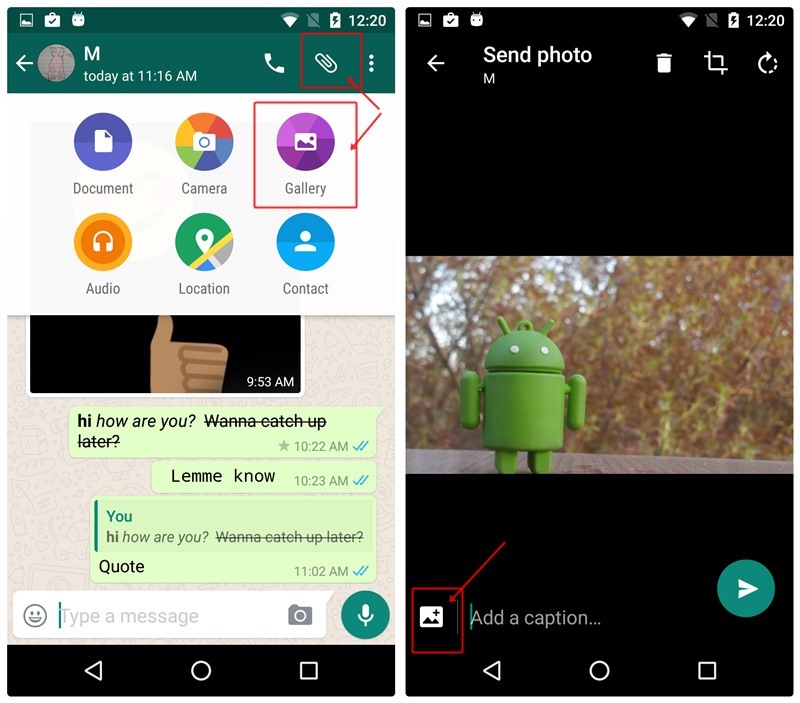 Here is a detailed guide on how to create GIFs in WhatsApp. WhatsApp released a cool new feature which basically lets users delete a sent message before a fixed time limit. However, there’s a way to read a deleted WhatsApp message if the message came as a notification on your device. 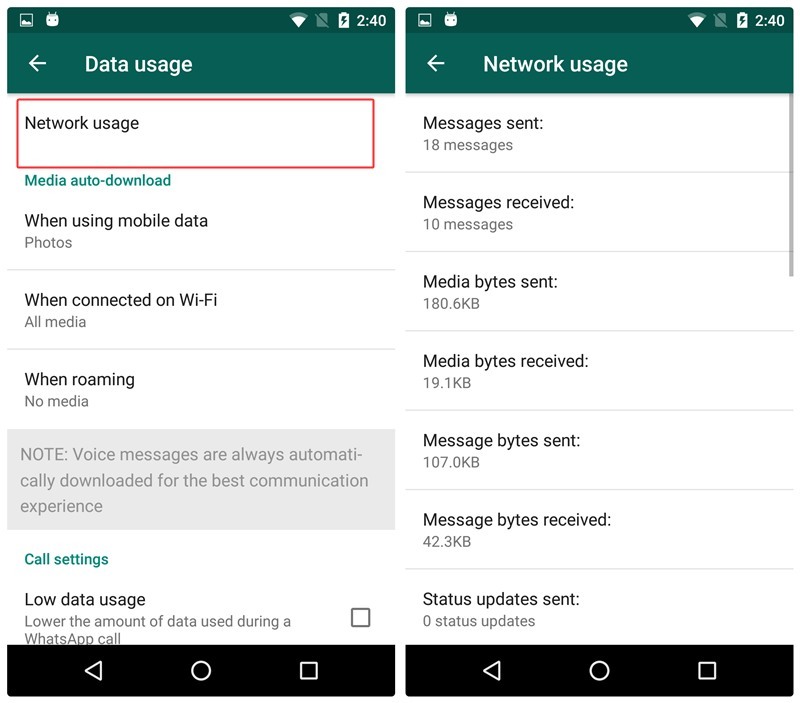 If you’re interested in figuring out how to read deleted WhatsApp messages on your Android device, then here’s how to do so. Download and install any notification logging application from the Google Play Store. We recommend using the Notification History Log app although any app which saves notifications should do the trick. 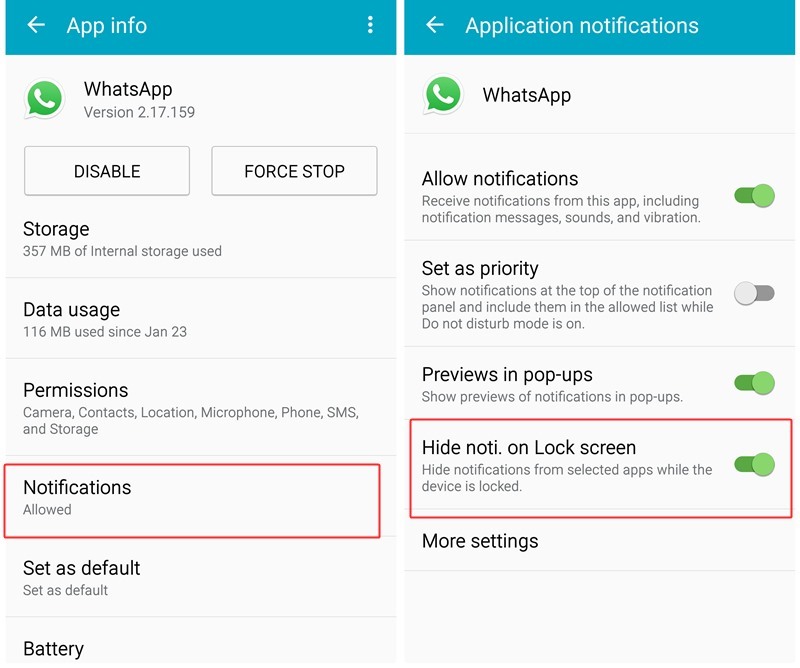 Once you’ve installed the notification logging application, whenever you receive any message notification on WhatsApp, the message would be saved on the Notification logging application. In case the sender deletes the message from WhatsApp, you would still be able to read the message via the Notification logging application. 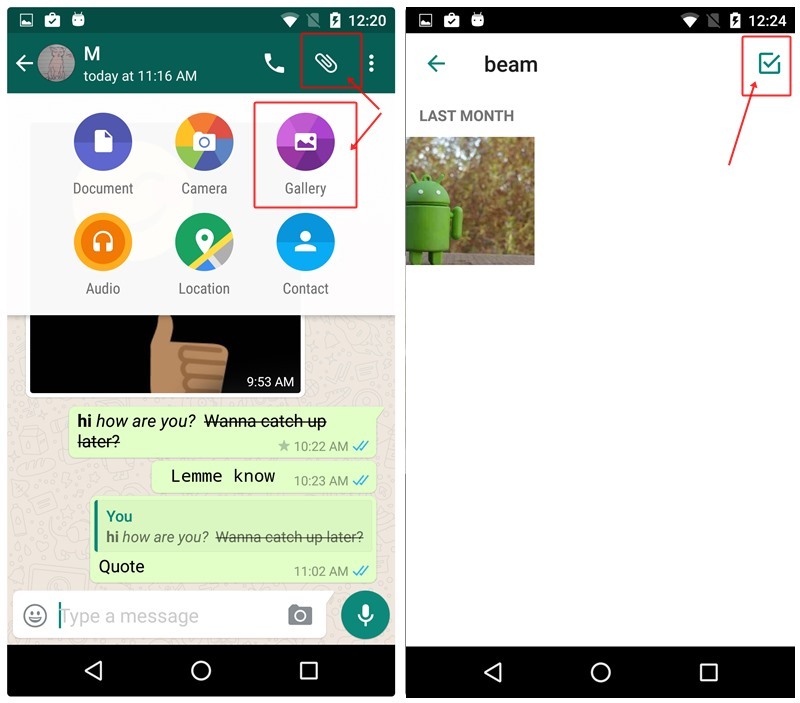 Did you know you could share any type of via WhatsApp and more importantly, if you want to share images without WhatsApp’s compression, then we’d suggest sending images using this cool trick. Open the persons chat to whom you wish to send the files. Tap on the attachment icon and then tap on Document. Next, tap on Browse other docs… and select the file which you want to send. Swipe in from the left to select the category of files you want to send. You could even share files stored in your Google Drive. At times, we might not have access to earphones/headphones in order to listen to a voice message since it might be something you wouldn’t want people around you to hear. Fortunately, the app’s got you covered. There’s a nifty little trick within WhatsApp that lets you listen to a voice message via the earpiece hence you won’t have to worry about eavesdroppers. The only thing you need to do is play the recording and bring the phone to your ears. That’s all. It’s as simple as taking a call is and you would be able to hear the voice recording via the earpiece rather than the device’s speaker. Be default, a person who creates a WhatsApp group is the admin of the group. However, the admin can bestow the “admin powers” on others as well by making them the admin of the group. The new admins also enjoy the same powers that are available with the original admin. Open the group chat and tap the three dots in the top right corner. Under the participants, long touch the participant that you want to make an admin. From the popup menu select “Make group admin”. Repeat the procedure if you want to add more admins. 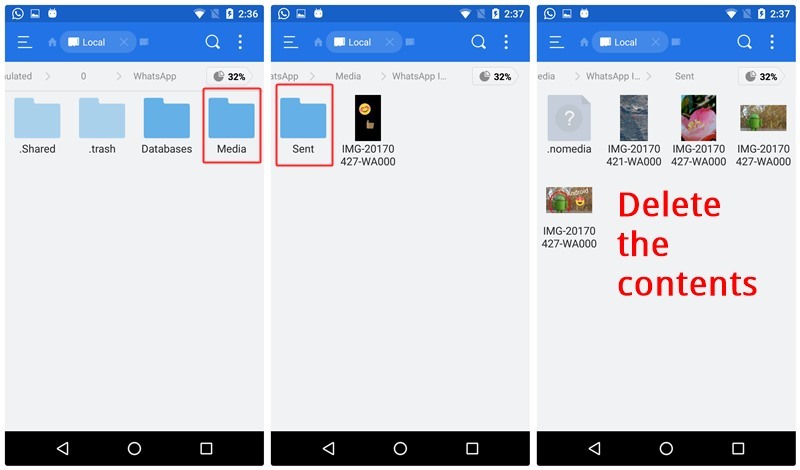 WhatsApp creates a copy of every media file that you send via the platform. 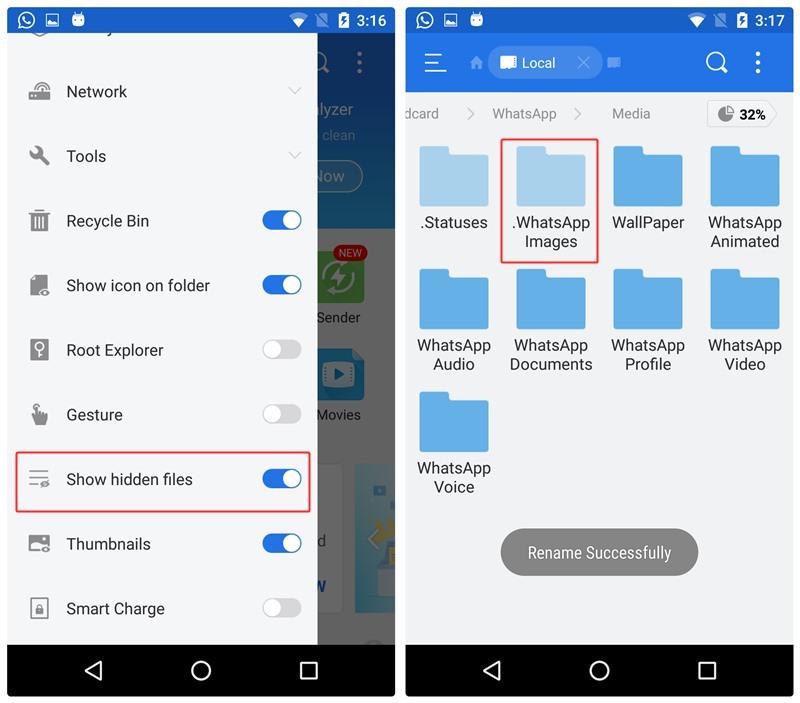 Meaning, even if you send a photo, video, GIF, audio, or a document that already exists on your device, WhastApp will create a copy and save it in its own folder, thus taking up device storage. The media files under “sent” are not visible in your gallery, so basically, a person doesn’t know that this even exists. Moreover, even if you “clear” the chat, sent media files will remain intact. Open the device file manager. 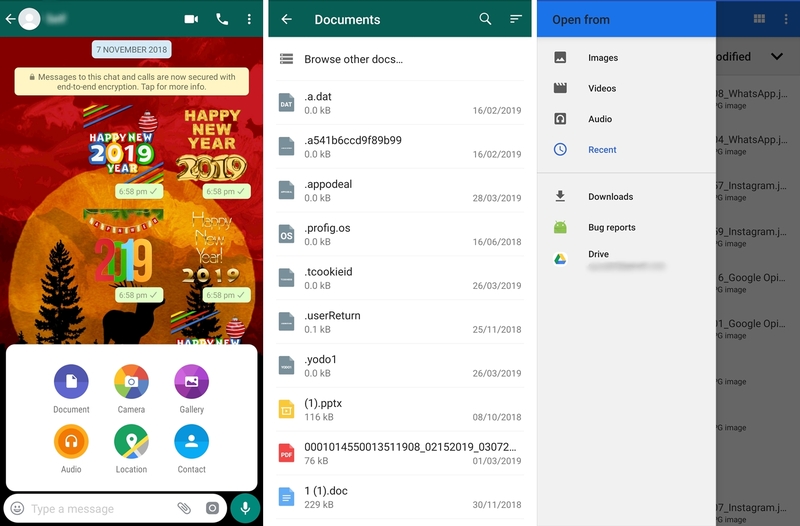 Under each of the folders; WhatsApp Images, WhatsApp Animated Gifs, WhatsApp video, WhatsApp documents and WhatsApp audio you will find a folder “Sent”. Tap “Sent” folder and delete all the content. Are you interested in finding out how many WhatsApp messages you have sent or received? If yes, that’s possible with the help of “Network usage” stats in WhatsApp. In addition to listing the number of sent and received messages, it also lists other figures such as media bytes sent/received, number of outgoing calls, status bytes etc. Select “Settings” from the menu and then tap “Data usage”. Tap “Network usage” to view the detailed stats. 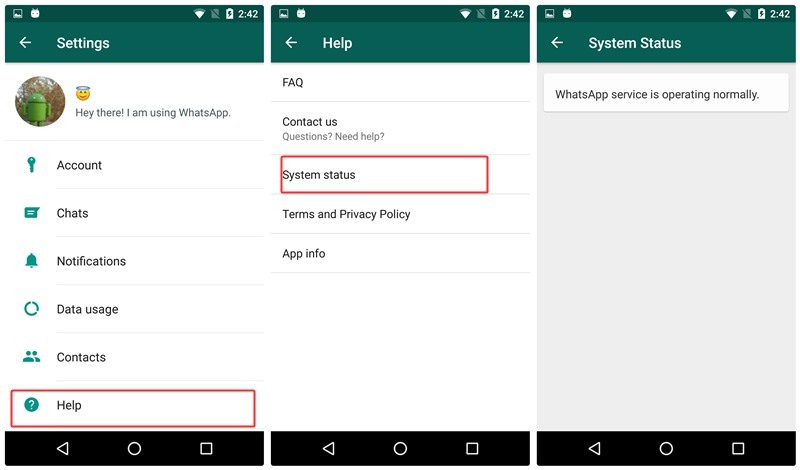 To make sure, if WhatsApp is properly running on your device, you can use the built-in WhatsApp feature to check the connectivity status. Select “Settings” from the menu and then tap “Help”. Under help, tap “System status”. You will get a message informing you if WhatsApp is operating normally or not. In one of the tips, we have already mentioned how to turn off the read receipts and blue ticks. But the tip has a drawback, it applies to everyone i.e nobody will be able to see your read receipts, moreover, even you lose the ability to see when your own sent messages have been read. There are two tricks, which help you dodge blue ticks for a particular person or for that matter, everybody, without you losing the ability to see read receipts. 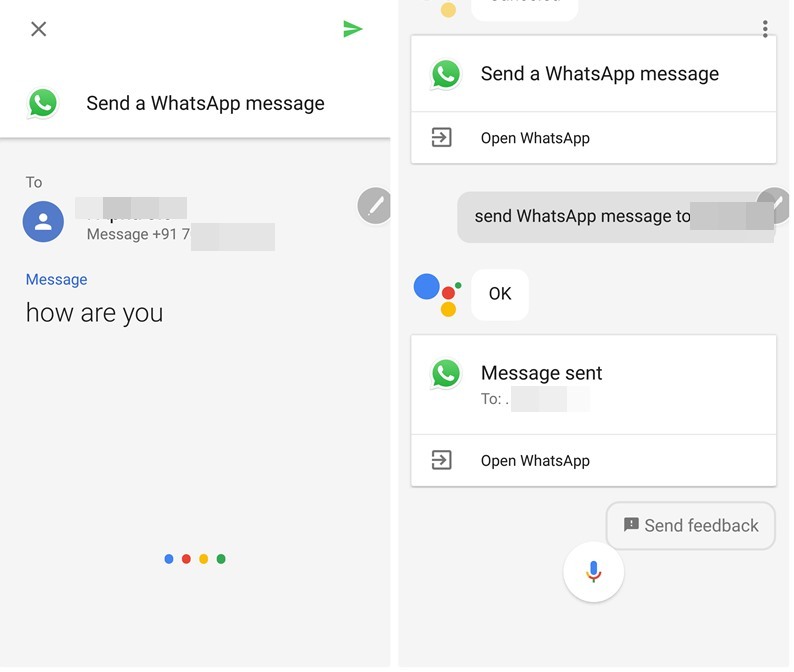 To covertly read all the incoming messages, without letting the senders know that you are reading them, you have to add WhatsApp widget on your home screen. Long touch an empty space on your home screen to add widgets. Select widgets. Look for WhatsApp 4*2 widget. Hold and drag the widget to your homescreen. Voila! You will now be able to see all your incoming messages in this widget without changing your last seen or getting a blue tick. This method is slightly hectic as you would have to repeat the steps again and again to dodge blue ticks. When you receive a message, turn on Airplane mode on your device. Open WhatsApp messenger and read the message. Congrats for reading the message without the read receipt. The message will remain unread in the sender’s eyes. However, remember that the next time you launch WhatsApp without Airplane Mode enabled, the blue ticks will re-appear. Open Google Assistant on your device. Say, “send a WhatsApp message to ‘name of the contact’”. You will then have to dictate your message. Once you feel the message is correct, tap the send button. Voila! Your message will be sent without opening the app and thus, last seen remains unchanged. This trick also helps you in writing hands-free using your voice. You might have seen some people have no status or about (as it is called now) on WhatsApp. But, WhatsApp doesn’t allow you to keep the status/about entry empty. So, how do people keep it blank? There are two ways to keep status blank. Open Google Chrome and copy any empty space between two words. Open the status /about in WhatsApp, and paste the copied empty space. Voila! Your status will be blank. However, if you try this trick by entering space from spacebar, it won’t work. So, it’s necessary to copy the empty space from Chrome. Copy paste  this character in status/about on WhatsApp. Yes, you read that right. If a person blocks you, there is a simple way to chat with them. Although, practically you are still blocked but this neat trick helps you in contacting them again. Ask your mutual friend to create a new WhatsApp group and to add you and the person who blocked you in the group. As simple as that, you can now chat with the person who has blocked you, without them unblocking you. If the conversation is going to be a private one, ask your mutual friend to leave the group. 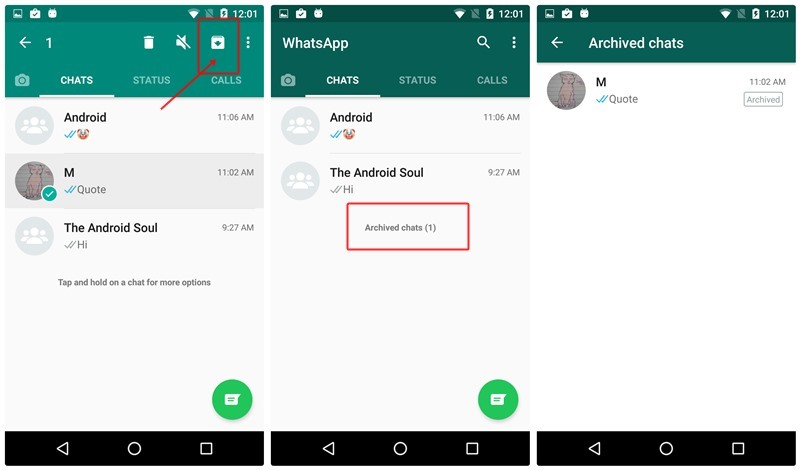 Although the outgoing media is not visible in the device gallery, incoming WhatsApp media gets a separate folder in the device gallery. If you don’t want incoming images and video to show up in your device gallery, you can hide it with this simple trick. Open the file manager on your device. Go to file manager settings and enable “Show hidden files”. Navigate to WhatsApp folder and tap “Media” folder. Add . in front of WhatsApp images and WhatsApp video i.e. rename the WhatsApp Images and WhatsApp Video folder to .WhatsApp Images and .WhatsApp Video. This will hide the folders from your device gallery. To get these folders back, rename and remove the . present in their names. Keep in mind: If “Show hidden files” is not active on your device, the folders will disappear from your file manager as well. Therefore, to get them back enable “Show hidden files”. By default, WhatsApp voice messages are played through the device speakerphone. And obviously, the voice messages will be audible to everyone near you. There is a simple trick to play the audio through the internal speaker – it is the same speaker that you use to hear people during a call. When you receive a voice message, tap the play button and move the phone near your ear. Thanks to the proximity sensor of your device, the speakers will switch automatically. What is one app that you always use? I’m presuming it’s the WhatsApp. So, why not use the app to store notes/memos on the go. Create a group and add one of your friends in the group. It is necessary to add at least one person to create a group. Once the group is created, remove your friend from the group. That’s it. Now send messages to this group to save them as memos or notes on your device. 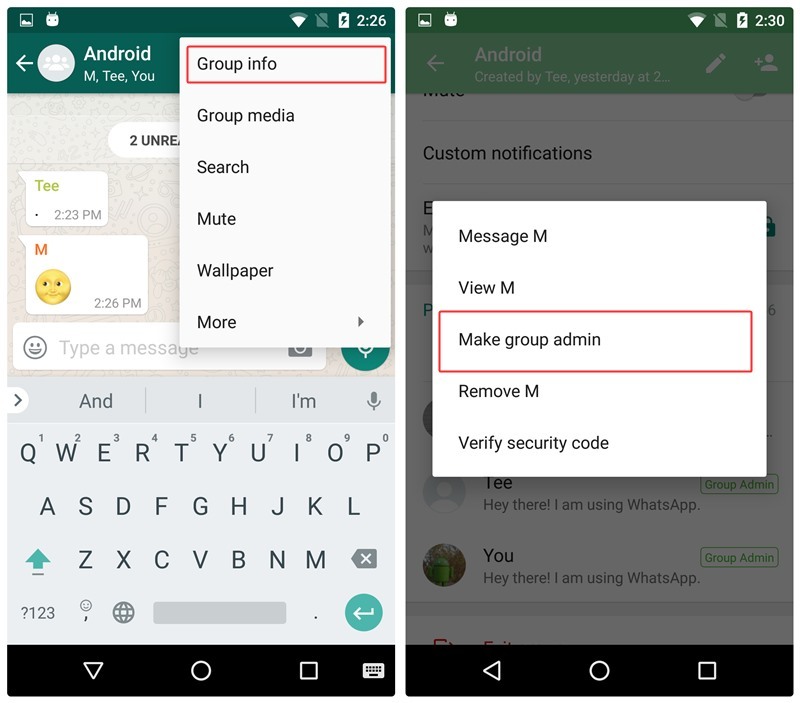 And you can even create other groups if you want to keep different types of notes under separate groups on WhatsApp. Moreover, for easy distinction between them, you can rename them and keep a picture as per your preference. “What? How is that possible?” Is that your reaction to the title? Well, as they say, “nothing is impossible”. So, yeah, even this is possible. We have already mentioned above that you can use WhatsApp on your desktop browser using WhatsApp web. Combine WhatsApp web and the above tip (WhatsApp to save notes), you get a new method to transfer files, documents, links to/from mobile to PC. Create a WhatsApp group with your friend, as you did above. Remove your friend. Open web.whatsapp.com on your PC. Send the files, documents, links to this group from your mobile and you will be able to retrieve them on your PC in the same group. Similarly, the method works for PC to mobile transfer as well. If you ever wanted to make someone’s WhatsApp status as your own, without manually typing it, WhatsApp must have left your dreams unfulfilled, since WhatsApp doesn’t allow you to copy someone’s status. You have to write it manually. However, throw in WhatsApp web and you have a new trick to copy status. Open WhatsApp web, copy the status, and use it as your own – all through the WhatsApp web. No need to type it manually. 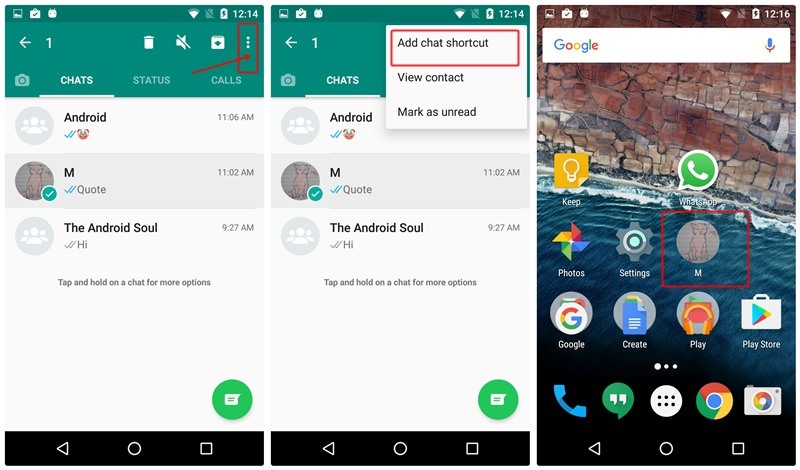 There are two methods to use multiple WhatsApp accounts on the same device. First via a third party app and second using the “users” feature of Android. We have already done them in detail. You can check the first method here and second method here. 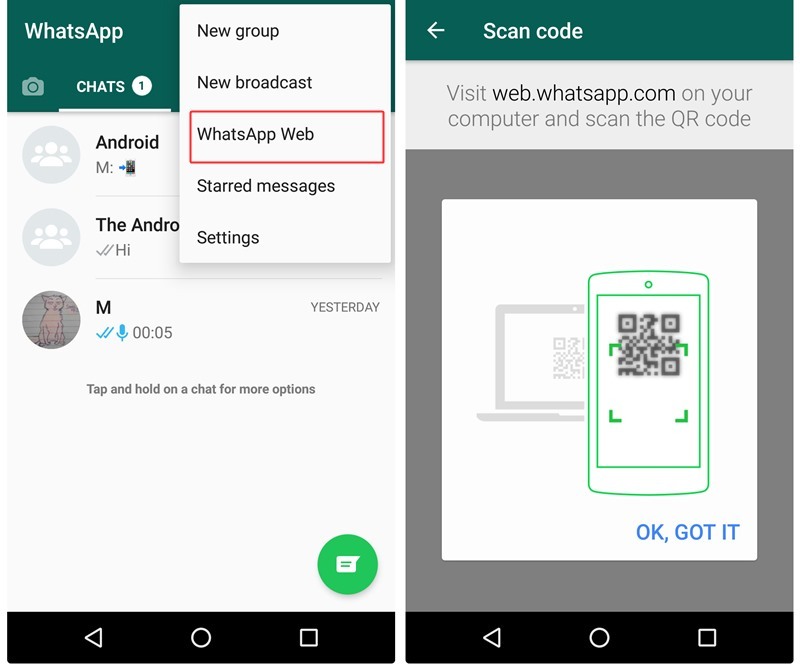 In case you want to use one WhatsApp account on two devices, there is a sweet trick to do it. Check our detailed guide here that explains stepwise how to pursue it. 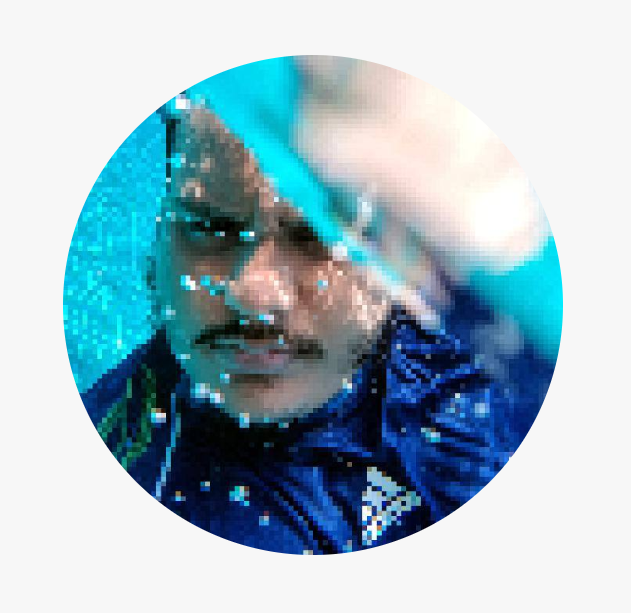 While putting up a profile picture on WhatsApp, you must have noticed that it crops the image to fit it in the square shape, thus ruining your image. Nonetheless, you can use a full-size image as your display picture without cropping it. Download Picsart app on your device or any other app that supports square fit. Open your image in PicsArt app and tap “Square fit”. Your image will be scaled to fit in a square. Save the image and use this square image as your WhatsApp profile picture. Other than WhatsApp web, if you want to receive WhatsApp notifications on the desktop, you have to use third party apps. One of the most popular app that makes it possible to get WhatsApp notifications on your desktop is “Pushbullet” app. While the primary functionality of the app is to transfer links and files between devices, it also provides a feature to mirror notifications from mobile to desktop. Install Pushbullet on your mobile device and desktop. Open Pushbullet and login to your account via mobile and PC. On mobile Pushbullet, tap the three horizontal bars in the top left corner and select “Notification mirroring” from the menu. 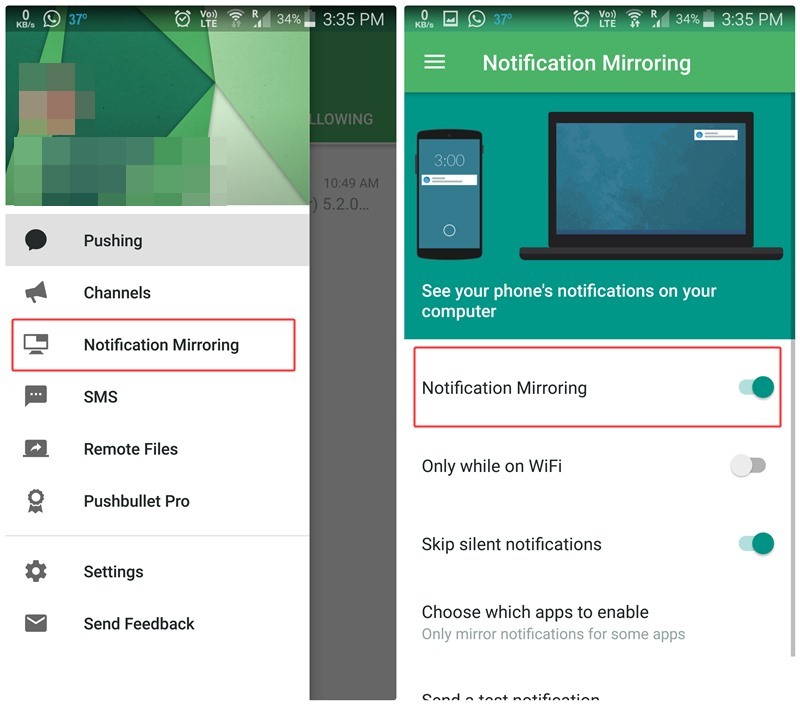 Enable “Notification Mirroring”. Select your desktop. If you only want WhatsApp notifications to be mirrored on the desktop, tap “Choose which apps to enable” and select WhatsApp from the list, otherwise keep it unchanged. That’s it. Now you will get all your WhatsApp notifications on your desktop. Uh oh! So you accidently deleted an important chat on WhatsApp and there is no way you remember the details of the chat. Well, thanks to the backup feature of WhatsApp you can easily restore your old deleted chats/messages on WhatsApp. Moreover, you can restore messages as old as 3-4 days. WhatsApp automatically saves your chats every day at 2 AM, so if you delete a conversation that happened before 2 AM, you can restore it. However, keep in mind when you restore the backup, you lose the conversations that happened after 2 AM. So, be careful regarding that. Uninstall WhatsApp. Don’t delete your account or WhatsApp data. Reinstall WhatsApp and sign up with the same number. You will be prompted that a backup has been found. Tap restore to recover your recently deleted messages. Go to the folder WhatsApp followed by databases. 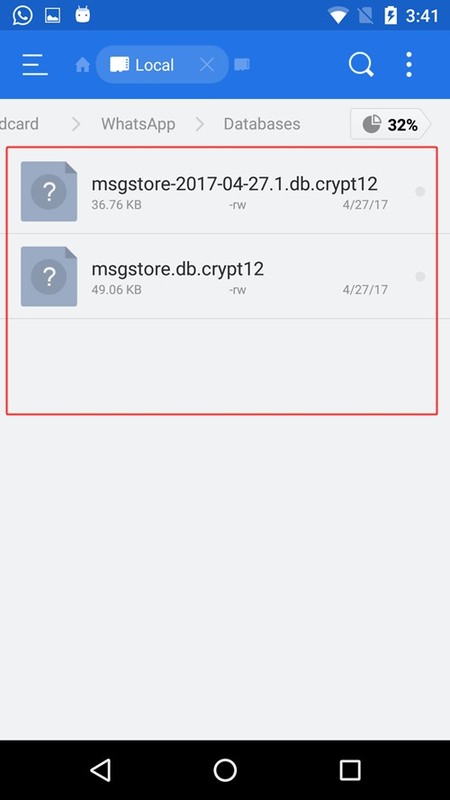 You will find many databases there, one with the namedb.crypt12 and others in the format msgstore-YYYY-MM-DD.1.db.crypt12. The last two digits can vary from device to device. Select the database that you want to restore depending on the date of the database and rename it from msgstore-YYYY-MM-DD.1.db.crypt12 to msgstore.db.crypt12. Use same last digits that are present on your device. You will be prompted that a backup has been found. Tap restore to recover deleted messages. 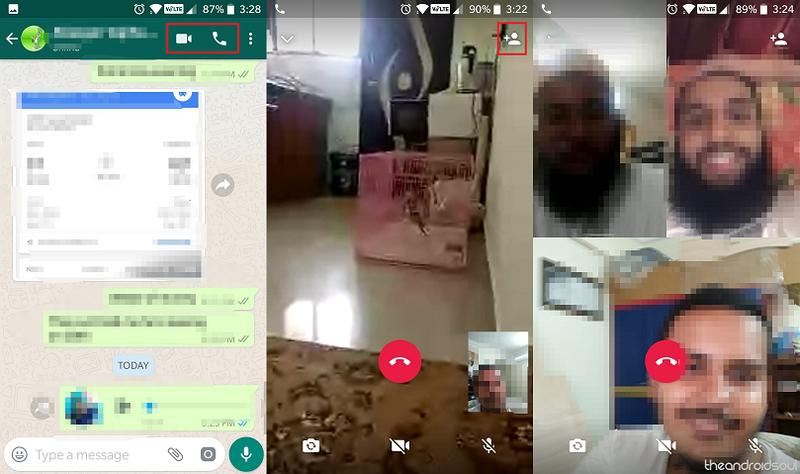 With a recent update, WhatsApp has implemented the ability to bring group video and voice calling to the mobile app. Now every time you make a video call or an audio call, you can add up to 2 more participants to join you (total 4 people can communicate at once). Make sure that you have WhatsApp updated to the latest version. Open the chat window for any one of the contacts you want to group video or audio call. Tap on the Video or Audio icon on the top-right corner of the chat window to initiate a call. Once the call has connected, tap on the Add Participant icon on the top-right corner of the screen. From the list of WhatsApp contacts, add the person you want to invite to the group video or voice call. You can add up to two more people once you have connected to a video or voice call. Thanks for reading! I hope you found some of these tips and tricks useful. Was there anything you picked up from this post? Any tips and tricks you’d like to share? Feel free to share your experience in the comment section.